Register Now To Secure Placement In Our Exciting Program Today! Great facts, recommendations and other great information! “Thanks so much for helping our son improve his SAT scores. You made him feel confident and successful! He was very complimentary of your class and the impact that it had on his scores, and he was thrilled with his increase. 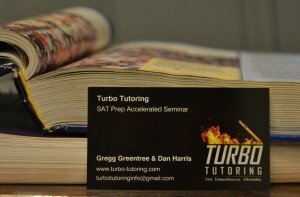 He especially appreciated the brevity of Turbo Tutoring over the long and drawn-out alternatives that were also available to us. Best wishes to you as you continue to impact countless kids on their life journeys.” Mary P.
Click here to read more student and parent testimonials.